In a medium sized bowl combine ingredients for the dressing. 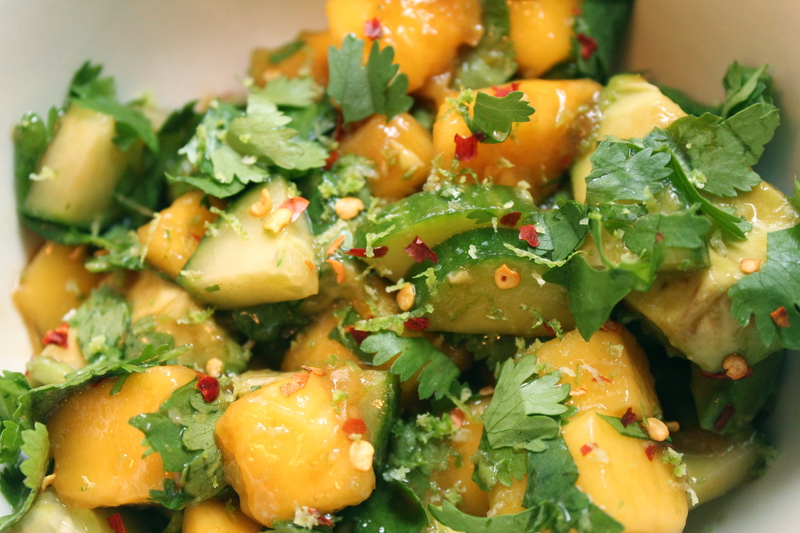 Dice mango, cucumber (skin on if its organic and English variety), and avocado and add to the dressing. Add chopped cilantro and mix until combined. Top with a bit of lime jest and a few more crushed red peppers.